The Cornell Law School is one of the finest law schools in America, combining inspired teaching with cutting-edge scholarship in a close-knit and collegial intellectual community. We have worked with the school to adapt their new brand across a variety of media, including stationery systems, posters, e-mail marketing, presentation templates, and more. 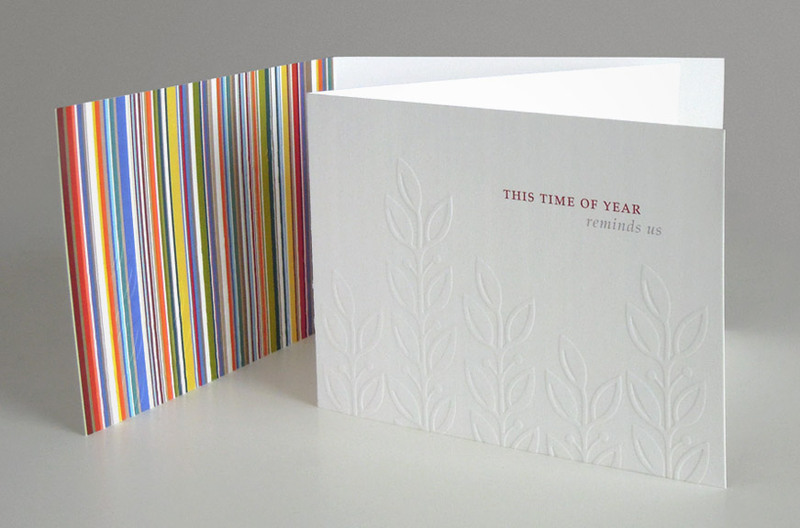 Details / A series of vintage-inspired postcards sent to alumni, wrapped in the school’s signature color bars. Details / A festive interpretation of the Law School’s key graphic elements with an emphasis on texture and light-hearted elegance. 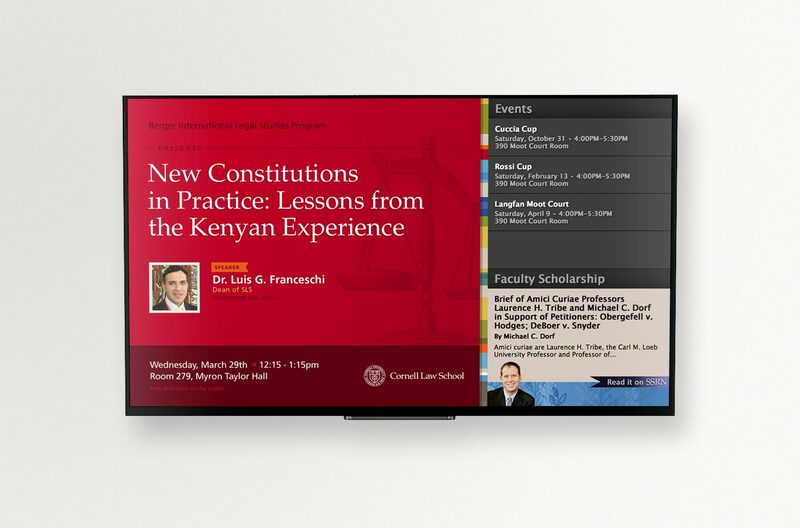 Details / Cornell Law School needed a design template integrated with a built-from-scratch event management system to be used school-wide. The template provided varied looks for the different events. Details / Cornell Law School’s unique brand is adapted for this PowerPoint presentation template, used by administration, recruiters, and faculty. 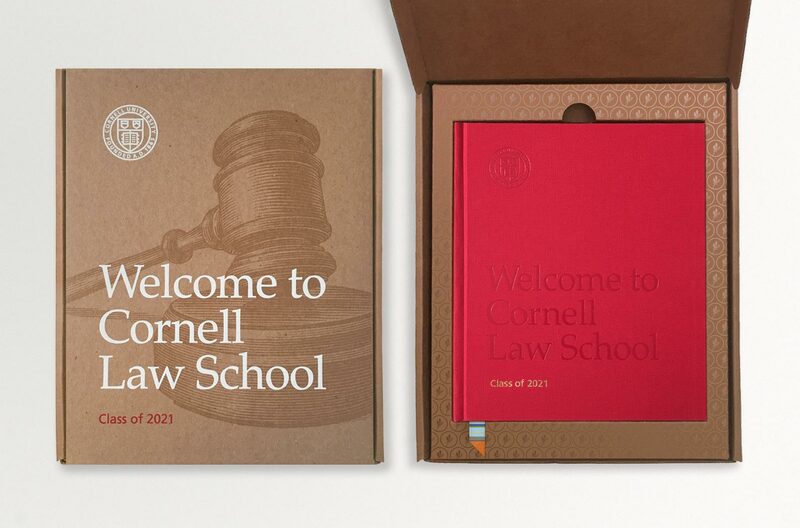 Details / The Cornell Law School Admissions book was in need of a refresh and we took the traditional, law book concept and upgraded the guts of the piece and strengthened the brand persona by bringing in a custom, branded ribbon. 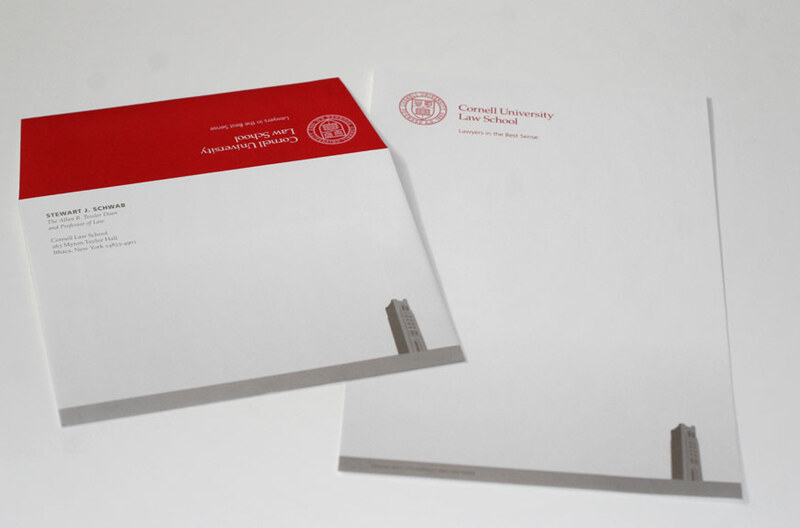 We developed new packaging to house both the book and admittance letter, everything working together to set the school apart and make a strong, lasting impression on newly admitted students. Details / The Cornell Law School stationery, along with all of the school’s materials, creates a bridge between the past and the present. 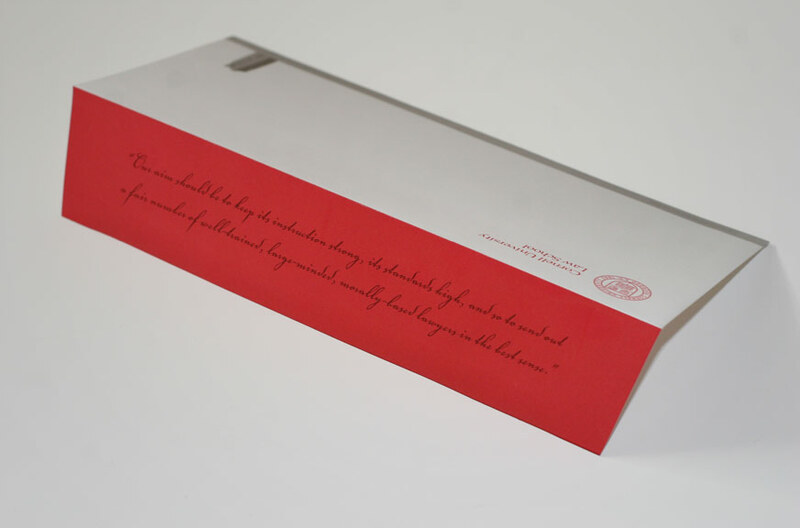 While clearly appealing to the rich history of the school, the stationery features traditional elements treated in a modern way. Details / We created a series of poster templates for the Law School to be used for symposiums and other special events. Faculty and staff have access to many choices and the templates keep the promotional posters consistent across the school. 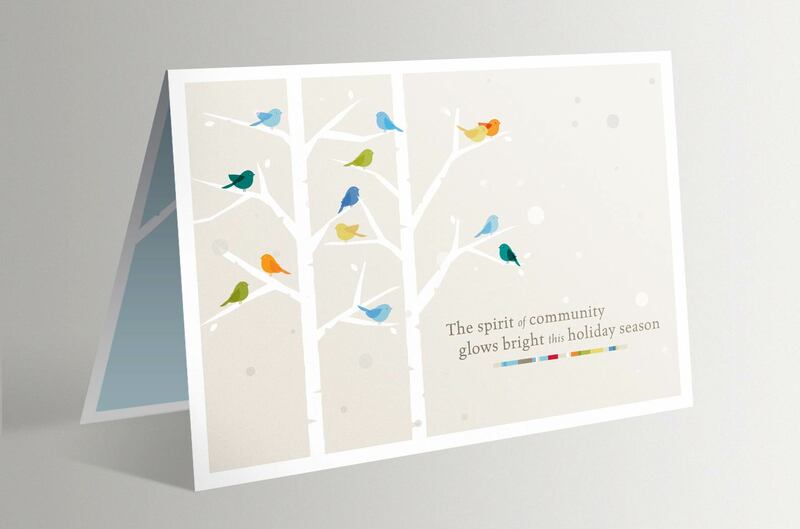 Details / This joyful bird animation, highlighting the theme of community, is the latest holiday video produced for the Law School. Details / This whimsical video e-card features adapted illustrations by Dante Terzigni and highlights the exciting changes happening at Cornell Law School in the new year. Details / A festive year-end video greeting presented as a simple webpage to be viewed on desktop, mobile, and other devices. This piece was accompanied by print cards, html emails, and banner graphics.